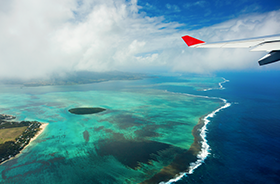 Port Louis, 2018-Sep-24 — /Travel PR News/ — The International Air Transport Association (IATA) called on the government of Mauritius to continue to focus on aviation as a strategic enabler of the country’s economic and social development. Jet fuel product price has increased by around 40% compared to a year ago. In Mauritius, the airlines face even tougher challenges as the jet fuel price that airlines currently pay at MRU are over 12% higher than the average price at European airports. This entry was posted in Airlines, Business, Corporate Travel, Travel, Travelers and tagged Alexandre de Juniac, Aviation, economic, IATA, Mauritius, social development. Bookmark the permalink.